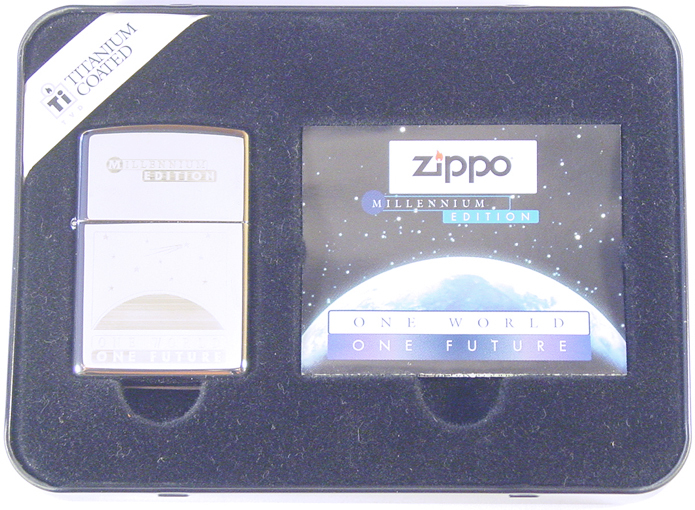 a symbol of Zippo’s proud past and promising future. 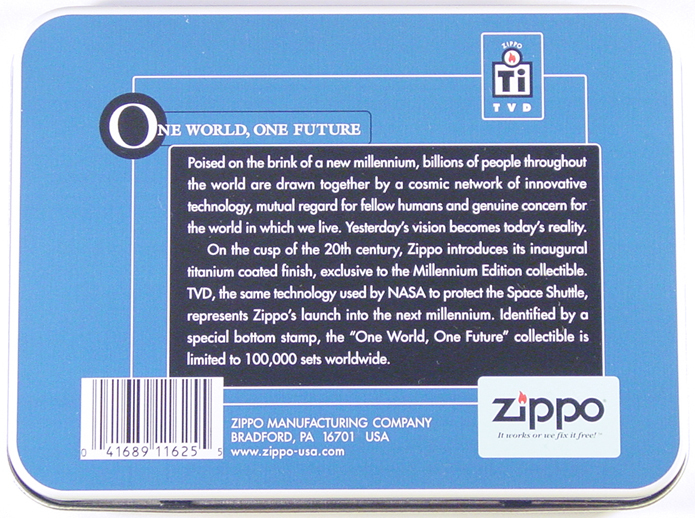 and authenticated by an exclusive bottom stamp. 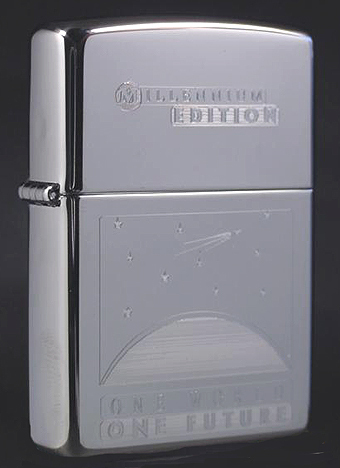 The 1999 Millennium Edition is also Zippo’s first ever computer-engraved collectible. 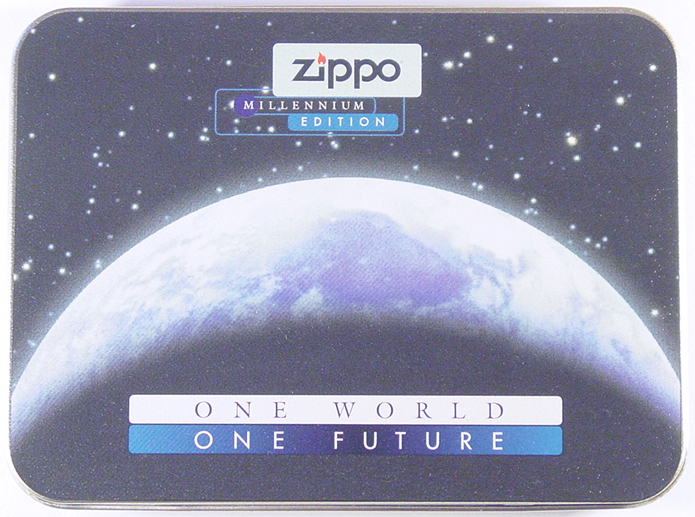 that the challenges of a new millennium are best faced united.